Being swamped with reads and my two courses (one of which is taking three times as long as they estimated), I was going to wisely ignore the 50 question survey from the Classics Club. But when I read a few of my blogging friends interesting posts, I had to give it a whirl. It took 2 weeks to compile but worth every minute. I’d almost forgotten the habit of past contemplation, which brings such value into our present reading habits. Here’s a link to my current list. I’m about 1/5 of the way through. 2. 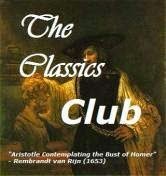 When did you join The Classics Club? How many titles have you read for the club? I joined on November 12, 2013. 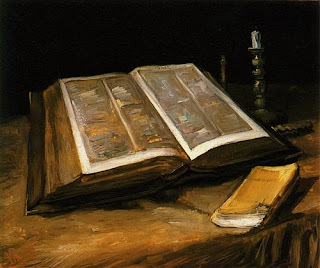 My complete list is comprised of 168 books: 15 books from Ancient times; 16 books from Medieval/Early Renaissance; 41 books from Early Modern times; and 96 books from Modern times. Of the 168 books, I’ve finished 33, so I’m exactly on track (or ½ a book behind, if I want to be picky!). Le Morte d’Arthur by Sir Thomas Malory and Utopiaby Sir Thomas More. Two books by two “sirs” ….. boy, how did that happen? Four Shakespeare plays, Romeo & Juliet, Othello, A Midsummer Night’s Dream and Much Ado About Nothing. I’m reading them for an edX Shakespeare course. Both new to me were Romeo and Juliet and Othello and I really enjoyed them, especially Othello. The last two were re-reads: I love Much Ado but A Midsummer Night’s Dream has never really been a favourite. 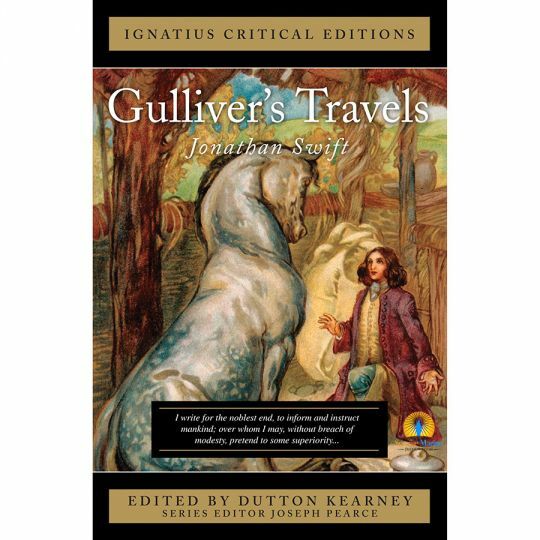 For Christmas, I’d like to read Dickens, The Chimes; for the spin, I’ll be reading Gulliver’s Travels by Jonathan Swift; God in the Dock for my C.S. Lewis Project; and I hope to get to Framley Parsonage by Anthony Trollope to continue the series, but I am doubting that will happen until January. Absolutely, without even having to think about it, Paradise Lost by John Milton. It completely blew me away; his characterization of Satan was by far the best that I’ve ever encountered, and the scope of the work was so ambitious that one could only admire his ability, even if he fell short in certain areas. War and Peace by Leo Tolstoy, would probably come second. As I just mentioned on Ruth’s blog, after I finished this one book, I felt I’d had the benefit of reading three! Oh, the anticipation changes depending on my mood. Right now, I’m looking most forward to Ivanhoe by Sir Walter Scott and The Histories by Herodotus. My dread of certain books, however, does not often change. I would go to the furthest Antipodes to avoid The Communist Manifesto by Karl Marx and Friedrich Engels and Aristotle’s Ethics. I would have also paid to avoid anything by Henry James, James Joyce, Ernest Hemingway, etc. I have few of these writers on my CC list, which was really dumb because now they’ll all be populating my second list. I believe it was Pride and Prejudice by Jane Austen. Either that or The Vicar of Wakefield by Oliver Goldsmith. I was late starting to read classics and, honestly, read mostly garbage before I hit 20. Well, because I was a classics newbie, I’d have to say The Vicar of Wakefield but only because my brain had to be trained to absorb well-written prose. Thankfully I was a fast-learner. But after I was “classicfied”, I would probably choose The Divine Comedy. On the surface, it’s not a tough read but if you want to dig deeper, there are so many layers to it that I don’t think you could mine them all if you read it once per year. The Chosen by Chaim Potok. The relationship between one of the characters and his father was so well-drawn out, yet vibrating with conflict and tension. I don’t want to give too much away, but for most of the book, you’re shocked at how one character treats the other, then at the end you find out why he has been acting in that manner, and it’s a good reason. Then you experience the internal conflict within yourself …… his behaviour is wrong yet it’s not wrong. You want to condemn him yet, how, when his motivations were pure? It’s really quite a fantastic book. Definitely, The Count of Monte Cristo followed by War and Peace. And the longest left on my list ……???? Wow, thanks for this question ….. it’s made me realize the number of true chunksters I have yet to read. And it’s scary! Probably The Decline and Fall of the Roman Empire (did I really put this on my list?) and then possibly, The Fairie Queene. That would be The Epic of Gilgamesh, which I think dates to around 2000 B.C., and the oldest one left is Herodotus’ Histories. I’ve read a great number of biographies this year and I’m not sure that I could pick a favourite. Thomas Merton’s Seven Storey Mountain was wonderful, as was Surprised by Joy by C.S. Lewis. And I can’t miss mentioning Augustine’s Confessions, as well as saying that I began a new relationship with Montaigne after reading selected portions of his Essays! Oh, I don’t think I can answer this one. I need to give recommendations based on the person or it could go horribly wrong. I have a first edition of The Pickwick Papers by Charles Dickens, which has four engravings missing. Every time I look at it, it gives me a thrill. Pride and Prejudice from 1995 with Colin Firth and Jennifer Ehle; Cold Comfort Farm with Kate Beckinsale; and Kenneth Branaugh’s Mucho Ado About Nothing. Dante’s The Divine Comedy, or a good adaptation of Le Morte d’Arthur, both likely impossibliites. Rebecca by Daphne du Maurier. Should I start ducking the tomatoes? It was painful! The characters didn’t resemble real people and their actions were stupefyingly dense. I’m still trying to brace myself to read some more of her works. I don’t know but grasping at a first thought, I’ll say, A Journey to the Western Islands of Scotland by Samuel Johnson. I can’t think of any that specifically fit this criteria, but I did hate A Picture of Dorian Gray for about ¾ of the book and then ended up loving it. I also thought I’d hate The Dharma Bums by Jack Kerouac but was charmed by it. Perhaps I’m really a closet-hippie, perish the thought! Monsieur Myriel from Les Miserables, Satan from Paradise Lost, Sarpedon from The Iliad (don’t ask me why), Moomintroll and Socrates. Whew! What a list!. Cassandra from I Capture the Castle but probably for only certain parts of her life, Gerald Durrell for the part of his life that he was on Corfu as a child, and Elizabeth Bennett. Believe it or not, Jane Bennett. Pride and Prejudice and Jane Eyre (I think O mentioned these books too) In these books it always seems like the fun ends after marriage, and it would be groundbreaking to discover that it doesn’t! Swallows and Amazons by Arthur Ransome and Finn Family Moomintroll by Tove Jansson. My blogger friends, particularly O who finds absolute treasures, Jean, who I think knows about every book that was ever printed, and Ruth who picks truly wonderful reads. I also go to Nancy for history books and other eclectic finds, and Sophia for YA fiction; they don’t always fit into the classics category but I’m mentioning them in any case. Reading Middlemarch by George Eliot for the first time. I read it in the summer on the beach and was completely enthralled for the 6 days it took me to read it. I can still remember the crash of the waves. Definitely C.S. Lewis. I could probably teach a course on him now. I probably know more about him than he knew about himself. Wait, no, Jean knows more than I do. William Shakespeare. There is really no excuse as to why I haven’t read all of his plays. C.S. Lewis again. Although I do own a lot of Enid Blyton. Would she count as a classic? And Dickens ….. lots of Dickens. Oh, and I have about 10 different copies of The Lord of the Rings. Not really any I can think of. I’m happy with my list and I know I’ll be making another. Now if you’d asked me which books I’d remove from the list, I’d have a detailed answer! 36. If you could explore one author’s literary career from first publication to last — meaning you have never read this author and want to explore him or her by reading what s/he wrote in order of publication — who would you explore? Obviously this should be an author you haven’t yet read, since you can’t do this experiment on an author you’re already familiar with. 🙂 Or, which author’s work you are familiar with might it have been fun to approach this way? Hmmm, this is difficult to answer. Perhaps Balzac? But that would be an enormous undertaking. I’m reading through Zola’s Rougon-Macquart series right now (on book four) but since I’ve read him, he wouldn’t count. I had 11 re-reads. I was probably looking forward to The Odyssey the most of all and I did get tons more out of it on the second reading. The Name of the Rose by Umberto Eco. I felt that he had some ulterior motive or that I was being dragged on a journey by someone I didn’t trust. Sounds odd, I know. It’s on my list so I’m going to give it another try. Oh, wait, I should have said Tender is the Night by F. Scott Fitzgerald. Whenever I read Fitzgerald’s works I feel like I’ve wasted my time and I don’t think I’ve ever felt like this before with a classic. Definitely! To The Lighthouse by Virginia Woolf. I loved her stream of consciousness in this book. 40. Seven things you’re looking forward to next year in classic literature? 1. Start to read poetry regularly. 4. Continuing my WEM & Shakespeare challenges. open enough that I hope to make it work. The Cantebury Tales, and The Histories, and possibly adding Ivanhoeand The Fairie Queene as good intentions. I am dreading Gibbon’s The Decline and Fall of the Roman Empire. Good grief, why did I put it on my list? I mean I want to read it, but when it’s on a list you have to. I also wish to avoid The Interpretation of Dreams by Sigmund Freud and Thus Spoke Zarathustra by Friedrich Nietzsche. Being part of a blogging community has been the best thing. I’ve made so many new blog friends and it’s been wonderful to be able to share a passion for reading with everyone and be introduced to new books. 44. List five six fellow clubbers whose blogs you frequent. What makes you love their blogs? Yipes! It’s so hard to pick just five, or even six! 1. O’s blog Behold the Stars – she finds such obscure classics from well-known authors (I don’t know how she does it) and her reviews are so well-researched, amazingly well-written and chock-full of interesting tidbits. 2. Ruth @ A Great Book Study – I just love how thoughtful her reviews are; she gives insights into the deep profound mysteries of life, probably without knowing that she does it! 4. Jason @ Literatue Frenzy – he’s not always active (on his blog, I mean) but always deeply intuitive. His posts are wonderfully eloquent, passionate and insightful, and he is perhaps the most polite blogger I know! 5. Nancy @ Ipsofactdotme – a truly contemplative reader and one with great perseverance (with much struggle, she taught herself to read in French). Her reviews are insightful and structured in a way that make them refreshing reads. She’s always very gracious. 6. Carol @ Carol’s Notes – by reading just one of her posts, you can tell that she is so obviously a writer. She blogs not only about books, but about human experience and human nature, with a wisdom that is truly amazing. It takes me about four days to think about her posts before I’m able to respond. Newly discovered blog: Mockingbirds,Looking Glasses, and Prejudices – it’s quite startling how similar we are. However we can’t agree about Mr. Rochester. Honourable mention: Marianne’s blog — I know she likes to keep it low key but I can’t rave enough about her writing. It’s just beautiful. Every post, every comment is a delight to read and leaves you feeling like you’ve just received a unique and refreshing warm spring breeze. And lastly, all the blogs on my blogroll to the left. They are all excellent. I loved O’s post on Agnes Grey — it really connected the reader to the book and the author and I think would increase the enjoyment for a first time reader X4. Jean’s Classics Club June Meme response was so insightful and timely. Jason’s post on Sense and Sensibility from a man’s point of view —- just great! Carol’s How Did Emily Dickinson Know About Thought Police was a treat; she is a master at interweaving human nature and wisdom into her posts. Phinnea’s first post on our Le Morte d’Arthur read-along left me in tears of laughter ……. Her posts are hilarious! Ruth’s posts on Lewis and Clark were pretty awesome. It’s so difficult to write about non-fiction and make it sound exciting, yet she is amazingly adept at it. ……… seriously, I could go on and on with this question ……..
Oh my, yes!! In spite of feeling that I’ve had a rather average reading year, I participated in two read-alongs that were just amazing: the Paradise Lost Read-Along and The Odyssey Read-Along. They both happened at times when I had time to read and I learned sooooo much from having the time to read contemplatively. I hope I can get free time that will coincide with another read-along in 2015. I’m not sure. Perhaps Les Miserables by Victor Hugo, which is not even on my list and would be a re-read for me, but I think it would be a lot of fun! I’d also like to do a read-along on a non-fiction book because I think it would be weird, but I have no idea which one. Not very long. I probably began in my early 20s, but seriously since 2010. 5. Extra, extra, read all about it! I think everything has been well covered! I found this survey randomly on A World of Books and decided to give it a whirl. Yikes, I think it would be either Jane Austen or Arthur Ransome, thanks to his Swallows and Amazons series. Well, I’m going to change this to best book in a series and my vote would go to Rilla of Ingleside from the Anne of Green Gables series. It was a more serious book than the others, exploring the effects of WWI on Gilbert, Anne, their family and the people of the town of Ingleside. Montgomery did an excellent job. Too many books at once, however I will pick only two to list here: War and Peace by Leo Tolstoy and David Copperfield by Charles Dickens. During the day, water and during the evening, either tea or water. I especially like Honeybush Tea for its warm, comforting taste. I MUCH prefer a physical book …….. somehow reading isn’t truly reading for me with a Kindle but I have to admit e-readers are handy and all those free classics are hard to resist. Hector from The Iliad. I love how he conducts himself with honour and bravery and how he treats his wife, Andromache. To The Lighthouse by Virginia Woolf – I did not think I would have the taste or patience for her works but for some reason I loved the stream of consciousness style of writing in this book. I don’t think it would have worked for any plot but in this story it was lovely. I enjoyed it much more than expected. The Picture of Dorian Gray by Oscar Wilde – I hated it for about three quarters of the book but towards the end I realized the value of his experiences as good warning against certain life and lifestyle choices. It became one of my favourites. When I discovered the classics and realized that they deal with timeless issues, problems and human emotion, yet there seems to be more scope and deeper treatment of these situations in past times. Such interesting content that intersects with life. New Grub Street by George Gissing. I recently discovered Gissing and this was my first read of his works. I enjoyed it but found that he manipulated his characters just a wee bit too much for my liking. His societal commentary was interesting but he needed to be more subtle. Much modern fiction. If the plot is simplistic, correct grammar almost non-existent, the characters not believable, the social message more important than the other parts of the book and there is no real life-learning involved in the book, I have little interest in reading them. Not to say I don’t read any modern books, but I am very selective. I think it would be The Count of Monte Cristo, with Don Quixote coming in a close second. I’m currently reading War and Peace so that would count too when I finish. Rebecca by Daphne Du Maurier. I hated this book. Other than the wonderful descriptions, the story was completely unbelievable, forced and pretty much ridiculous. When the main character accepted her husband as a murder without a blink of an eye, I was done. I’m not sure I could even try another du Maurier novel. A Christmas Carol by Charles Dickens. We read it each Christmas. I’ve also read Beowulf and Pride and Prejudice quite a few times, Mere Christianity by C.S. Lewis, and The Undergound History of American Education I try to read at least once every couple of years. In a big, cushy comfortable chair on a dreary day with no noise other than nature. With life right now I do not have enough time to read. I find myself squeezing in my reads between responsibilities and a busy life. It is just the seasons of life and I look forward to a period when I will have more personal time to devote to reading. I’m embarrassed to admit it but it is The Chronicles of Narnia. Especially embarrassing because C.S. Lewis is one of my favourite authors. I WILL read it completely in 2014 —- one of my resolutions! How can one choose only three?!! 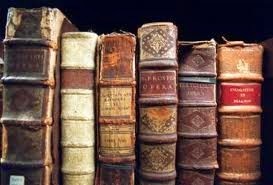 If pressed and forced to make a quick decision, I would say, The Iliad, The Bible and Pride and Prejudice. The Dharma Bums by Jack Kerouac. People ask me why I was interested in reading about dope smoking, irresponsible, young hippies but honestly, I found their outlook, in some aspects, refreshing. Well, since I’m not really that interested in modern books, I can’t think of one I’m really excited about. Perhaps another book by David McCullough. Sadly, Christopher Hibbert recently passed away, or he would be another author I would add. I annotate in my paperbacks. Gasp! But I find it really helps me experience a deeper read. My two most annotated books are Beowulf and Mere Christianity. Guilt by Jonathan Kellerman, but only because I wanted to finish it and get on to my next classic!